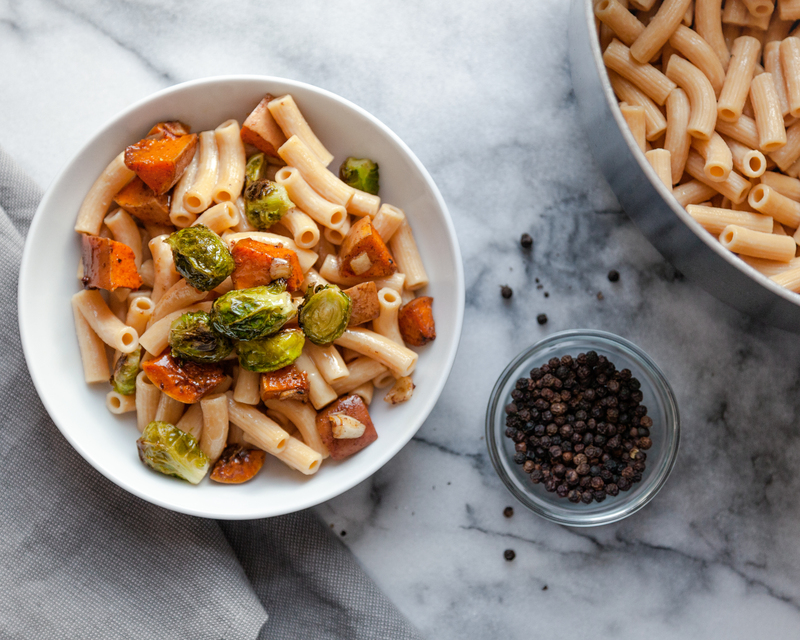 Tomorrow is #NationalGlutenFreeDay, so I wanted to share my recipe for a gluten-free twist on a traditionally gluten-based favorite: pasta! 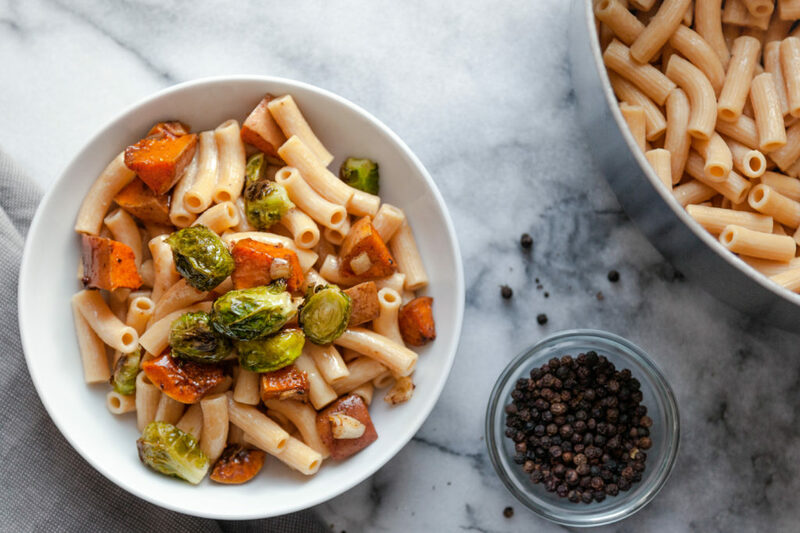 I love adding some of my favorite roasted and colorful veggies and warming spices as well to help ease into transition to winter. One of the first big lifestyle changes I made after I was diagnosed with my autoimmune disease was to completely stop eating gluten. It seems less radical now, with increased awareness of gluten sensitivities, GF symbols on everything you can imagine and the seemingly endless substitutions available, but somehow I still struggled to find the right gluten free alternatives and seldom eat any packaged gluten free products at all. The additives and sugar in the majority of gluten free substitutes is enough for me to immediately put down the box so I was excited to finally find Eat Banza gluten-free pasta that I could enjoy. 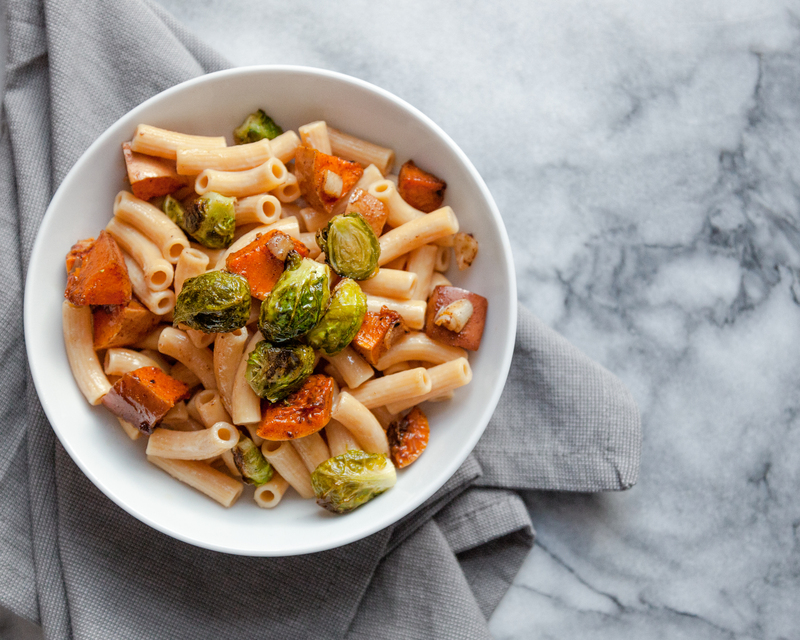 I like to pair this satiating staple with roasted Brussels sprouts and honeynut squash, and drizzle it all with maple syrup or honey and a little cinnamon for the perfect winter dish. For another winter dish idea, checkout my Slow Cooker Split Pea Soup. Drizzle veggies with oil, spices, ginger, and honey.